With its many shops and eateries and an expansion scheduled to include Massachusetts' first Nordstrom and Neiman Marcus, Natick Mall is a great location to shop and relax. The mall is full of draws, especially for children. Stop off at the PlaySpace, a children's play area, and let the tykes burn some energy. There are also several kiddie rides with which to fulfill their fancy. While you're in the mall, sign your child up for Club Noggin, a free children's club that meets for fun educational experiences and social interaction. Besides the attractions for small children, you'll find Aladdin's Castle Arcade, a game center for older children, teens, and adults. For those of us who tend to drag a little after a long day of shopping, take a break and have a seat in a soft seating area, and do a little people watching. When the hunger pangs strike, take a break and stop In at the food court, where you'll find several counter service restaurant favorites, such as Sbarro's Italian Eatery (their pizza is to die for) and McDonald's (the All-American favorite). For something sweeter, try the Haagen-Dazs, where you're sure to find the ice cream flavor that will have you walking on air. If you prefer a more relaxed, seated dining experience, stop into Johnny Rockets and take a trip back in time to the 50's in this period diner set up to look and feel like an old fashioned shake shop. Or step into the California Pizza Kitchen for fabulous eats and full service dining. Natick Mall wishes to accommodate all guests who come in to shop or eat, so complimentary wheelchair services are available (on a first come, first serve basis). Hours are long and accommodating � Natick Mall is open Monday through Saturday from 10:00am until 10:00pm and on Sundays from 11:00am until 6:00pm. 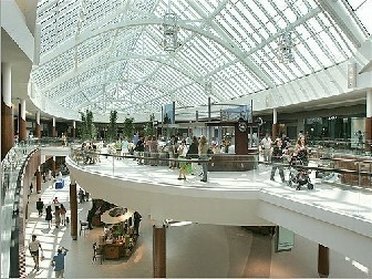 Even though currently scheduled for expansion and construction, Natick Mall is a necessary destination for shoppers in the Natick area.